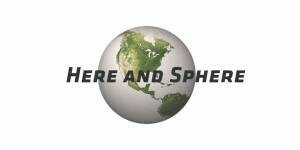 Here and Sphere endorses Hillary Clinton for President. This is our first Presidential endorsement, one that we take as seriously, as we must. Our endorsement is a positive one; it is not predicated on the deficiencies, as they may be, of her opponents. That said, we present both sides : the positive for Clinton and the reasons why we reject her two chief opponents. If Clinton is anything, it is safe. Safe and sure. She is cautious almost to a fault; never acts precipitously; thinks before she speaks; weighs, almost too much, the consequences of what she, as a major political figure, may say. These are not qualities fit to the feverish, impulsive world of outrage that has become an unfortunate norm, but they are vital ones to have in a President, who cannot be an internet pundit. A President needs first of all reassure the people that she is careful, in charge, and master of her mission.Especially in a world beset by complex competing tribalisms, lone wolf virgins, trade wars, and enormous migrations of people into all sorts of hells, the leader of the free world should be a refuge of safe. Clinton’s play it safe method also benefits domestically. The nation is adjusting fairy well, actually, to large changes in social mores; it is adjusting to economic transformation. LGBT civil rights are winning the day almost everywhere — the price of opposition to them is unacceptable even to deeply traditional communities. The uproar over police disparagements (and worse) of Black people — an uproar fully justified — has the potential for open racial warfare; a safe President, especially one supported by 97 percent of Black voters, has the power to bring both sides to the table — as must be. Economic reforms are already in process or on offer : a $ 12 minimum Federal wage; charter school expansion; trade treaties; wise use of Federal debt; protections for consumers in the world of banking; labor’s rights to organize; innovation encouragement. On all of these, Clinton stakes knowledgeable positions likely to gain majority support. (On some, we disagree with her; but there’s time, later, to enter the debates over each). The bottom line is that nothing radical or otherwise disruptive is likely to occur in a Clinton Presidency. Clinton has a resume in public life almost unmatched in its breadth and length. She may be anything but a fresh face, but she has the wisdom of long involvement and an ability to articulate complex policy superior to that of any Presidential candidate since LBJ. Clinton is as tough at the helm as she looks when presenting her case. No enemy of ours has any doubt that Clinton will not shrink from using the full economic and military power of our nation if she feels she has to. Clinton is already a world leader. Her four years as Secretary of State made her a highly respected presence in most nations; in particular, as advocate for the rights of women and of children, as enemy of slavery, as promoter of education and of freedom from disease. Her family’s Foundation, much maligned, with zero good reason, by her political opponents, has made a huge difference worldwide for women and children’s health and civil rights. At home, too, Clinton stands squarely for all those advances that this nation has fought to win during the last 50 years : full civil rights, and respect, for people of color; women’s reproductive and equal pay rights; reasonable regulations of weapons; normalization of undocumented immigrants; and, most basically, for the Constitution’s fundamental assumptions : that the Federal government is supreme, not the states; that no state can nullify or undermine a Federal law; that the “comity clause” defeats any argument that one state can offer different rights to people than any other; if the “2 A” gives any rights, they are given to all, not just to white people; that the First Amendment means what it says about free speech, including most pressingly, the right of journalists to criticize all politicians as they see fit, including unfairly; that the 14th Amendment means what it says about the citizenship; of everyone born on American soil. It is a shame that this must be said, but one of Clinton’s opponents has sent many, many signals that Constitution’s prescripts do not apply. It is also significant that Clinton would be our first woman President. By doing so, she will accustom Americans to seeing female personality and characteristics as leadership qualities. Time and again we have heard how all the political leadership role models are male. That needs to change. There is nothing about being male that makes one a superior leader. Anyone who has studied the history of England’s first Queen Elizabeth will know that inspired command of female qualities is indomitable. America needs to know and embrace it. Lastly, Clinton is trusted and supported by the America of tomorrow : people of color, immigrants, women to whom women’s reproductive rights are important, entrepreneurs, the well educated, city people generally. If she is not immediately embraced by millenials, who see her as a pre-internet person, at least on the issues that millenials care about, Clinton is fully aboard. For all of the above reasons, we proudly endorse Hillary Clinton for President. Trump has offended almost everyone, on purpose; but I think most people get that, in the internet age, one can say almost anything, and it doesn’t matter. The basic message in Trump’s insult routine is that he spurns the common wisdom. That is a very appealing message for voters who find the ordinary way of doing things otiose at best and a huge obstacle otherwise. Nonetheless, plenty of people take Trump’s racist, anti-Semitic, naive, cynical, indifferent, and blundering word salads seriously as license to do the same. Actual people get hurt thereby, not to mention the enormous distraction from the work of reform that these verbal, visual, sometimes physical push and shove inflict on a society that needs to be less violent, not more; and more focused, not less. Nor can Trump’s insult routines shrug off his personal and business failings, which render him entirely unfit for any office, much less leader of the free world : his insecurity, his multiple frauds, his enormous financial obligation to Russian lenders and oligarchs, his misuse of foundation money (gotten mostly from other people ! ), his record of stiffing people who worked for him, and many more, even darker connections that bedevil almost any New York City real estate macher. Nor has he surrounded himself, it seems, with advisers any less compromised than he himself. A vote for Trump is a huge gamble; but a voter should remember the gambling axiom that in casinos, the house almost always wins. We urge voters NOT to take this gamble, not at all. The palpable unfitness of Trump, coupled with the awkward personality of Clinton have led many voters to support the Libertarian Party’s nominee (and his vice president, Bill Weld, our own state’s former, well respected Governor). There is much to like about this team. They do not seek to impose religious tests or to turn Fundamentalist Protestant Theology into public law. They support LGBT civil rights. They don’t think a government should tell people what to smoke. Yet the Libertarian platform reads weirdly. Retreat from the world is not an option, infrastructure cannot be delegated to private enterprise; commerce cannot go unregulated, nor can weapons and ammunition. Basically, the Johnson/Weld platform undermines basic Constitutional covenants just as radically as the Trump message. How does the Johnson’/Weld agenda comport with the 14th Amendment ? The 15th ? The Commerce and Supremacy clauses ? The Constitution’s grant of Federal exclusivity over immigration, admiralty, bankruptcy, the coinage of money, the authority to borrow money on the full faith and credit of the United States ? Frankly, the Libertarian agenda doesn’t accept any of these. An American agenda should accept the Constitution and its Amendments. The Constitution has made us exactly what its preamble commanded : “a more perfect union … promot(ing) the General Welfare.” The Constitution has never had any easy time. ratification itself, in 1787, was a close run thing, and ever since, the Constitution has faced enemies bothersome, violent, mortal. Yet it has always triumphed and done us well, made us the nation that almost all people want to be part of. We support it. Only one of the three candidates we have discussed supports it. We endorse her : Hillary Clinton.